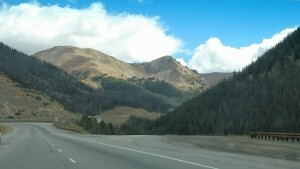 While traveling in Colorado, we made a day trip to Golden, Colorado. 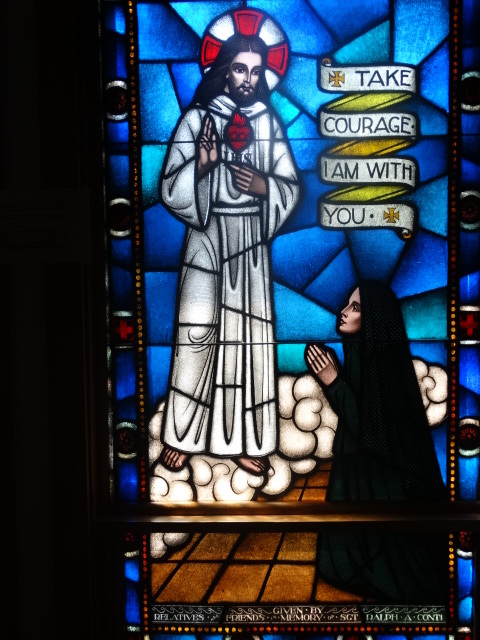 The Mother Cabrini Shrine was our destination. 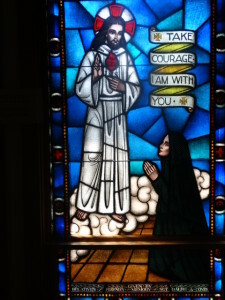 The Mother Cabrini Shrine is in honor of the Sacred Heart of Jesus and St. Frances Xavier Cabrini. 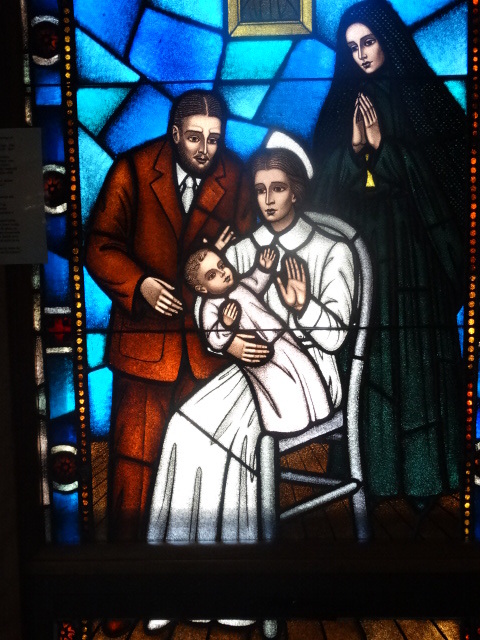 Mother Cabrini came to Denver in 1902 and over 10 years purchased three tracts of land in Golden, Colorado. 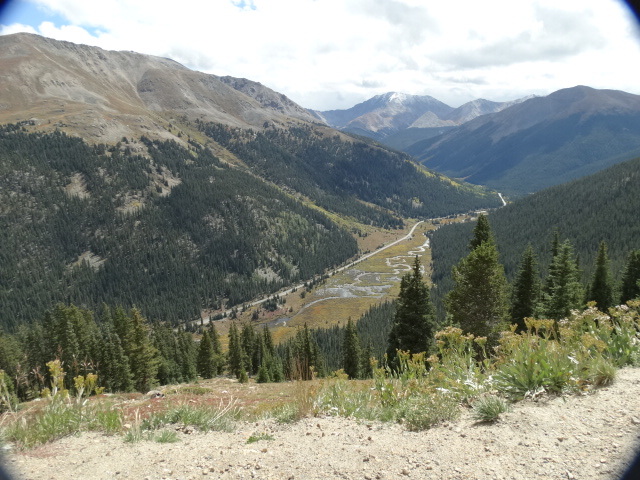 The first tract was purchased on Mount Vernon Canyon as a summer camp for the girls of the orphanage in 1909. 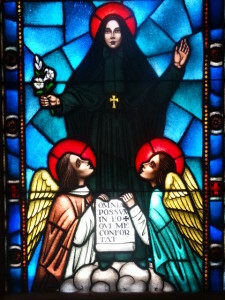 Mother Cabrini returned in 1910 and 1912 to purchase the additional two tract of land. 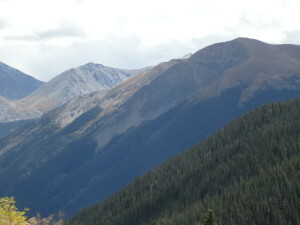 After this purchase the girls and Sisters at the orphanage climbed to the highest point of the mountains to enjoy the view and a picnic. The Sisters and girls informed Mother Cabrini that there was very little clean water. 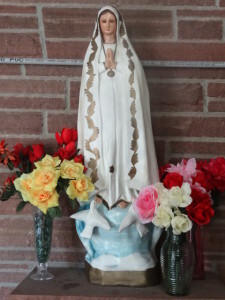 She asked the children to bring her white rocks and she arranged them in the form of a heart surmounted by a cross and used smaller stones to form a crown of thorns. Then she walked over to a large red rock and touched it with her cane. 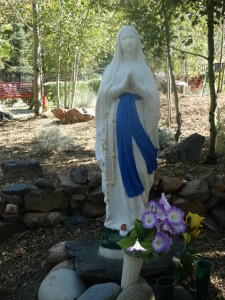 She told the children to dig a small hole beneath the rock and there appeared a spring. The spring was discovered the first part of September, 1912 and has never stopped running to this very day. 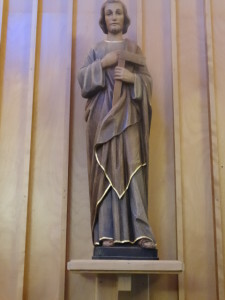 The bishop was informed of this account and commented upon the fact that ‘such a small, sickly Sister could find water in such a desert place if it was not that she was inspired by God. 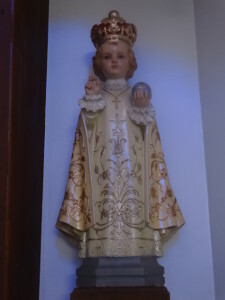 He designated this place as a miracle of a Saint’. 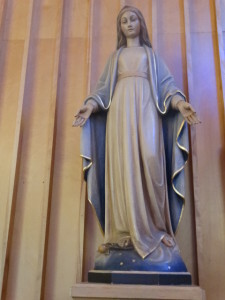 He recommended that a grotto to Our Lady and chapel be built near the place the water was found. 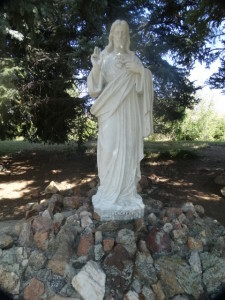 Today a beautiful Church, Chapel, Cabrini Gardens, Cabrini Museum, Meditation Walk, Rosary Garden, Grotto Chapel, the Spring and Stairway of Prayer are located on the tracts of land. 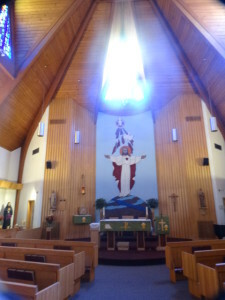 The main Church/Chapel is dedicated to the Sacred Heart of Jesus and was completed in 1970. 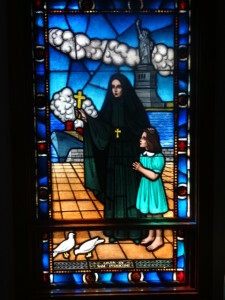 In the side, stained glass windows surround a rectangular room depicting the life of Mother Cabrini. The Cabrini Gardens are dedicated to Frances Xavier Cabrini. 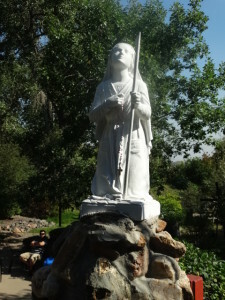 Here stands a statue of Mother Cabrini and children standing around her. This area had once been the orphanage building. 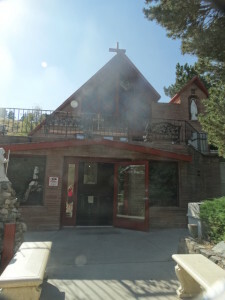 The Cabrini Museum opened in 2014 in the area that was the ‘pump house’. This is the original tract purchased. 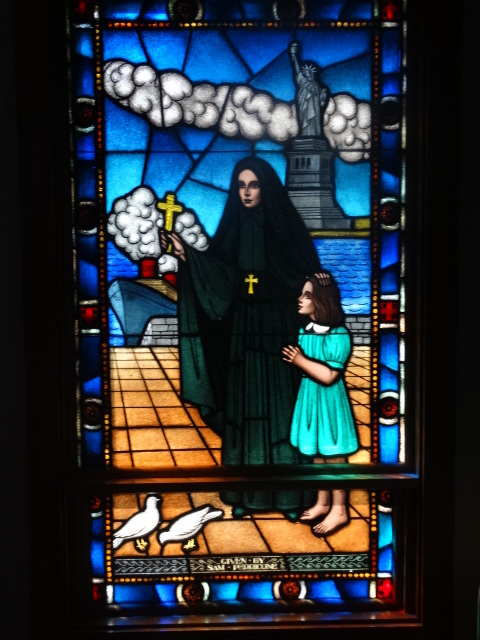 The museum features a replica of Mother Cabrini’s bedroom and artifacts once used by Saint Cabrini. The Meditation Walk is a place of reflection with a water display and seating for quiet contemplation. 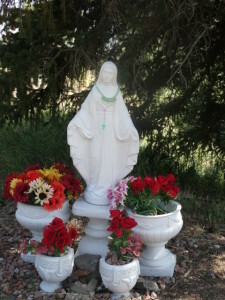 The Rosary Garden has beautiful landscaping and was the second tract she had purchased. 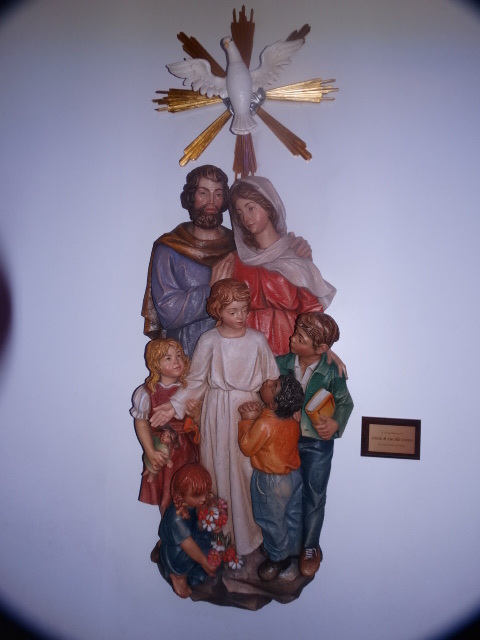 The Grotto Chapel is a small chapel, a replica of the grotto at Lourdes in France where I traveled to 3 years ago. 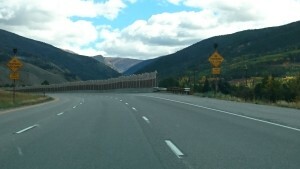 Originally build over the spring in 1929 it was replaced in 1959 with the present one. Here the Mother Cabrini altar, vigil candles and kneelers are enclosed. 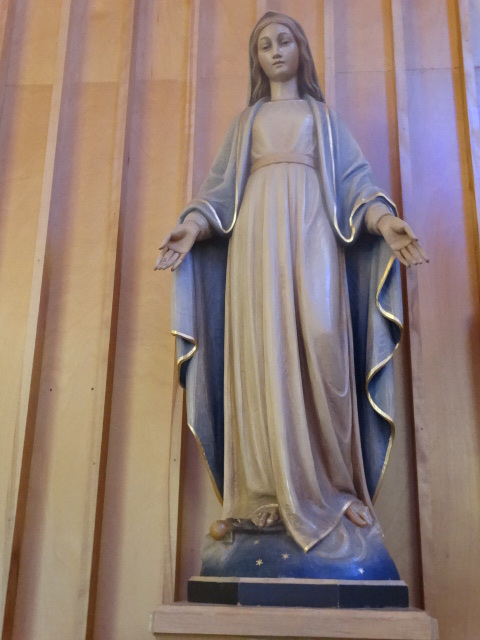 Visitors pray and ask her intercession with the Sacred Heart and the Blessed Mother. 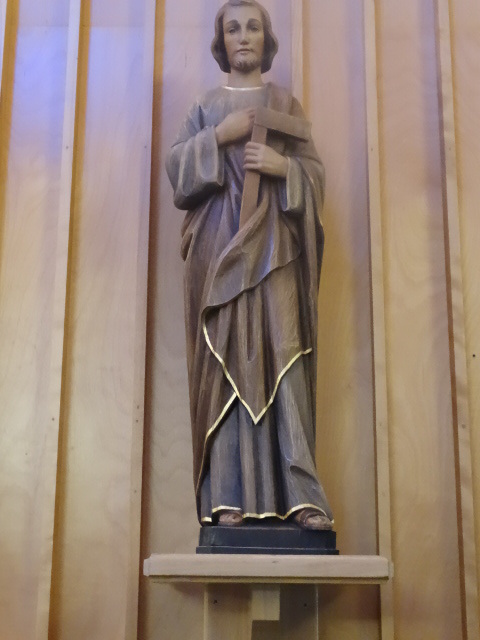 Here prayer requests are made. 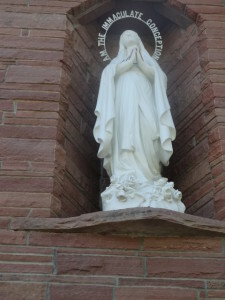 A statue of the Blessed Mother is mounted outside the chapel. 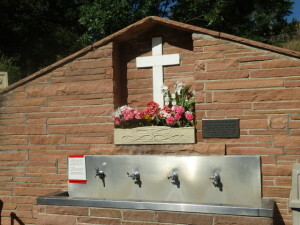 The Spring water flows from beneath the stone and can be turned on and off with faucets. Drinking cups are there for drinking the cold spring water. 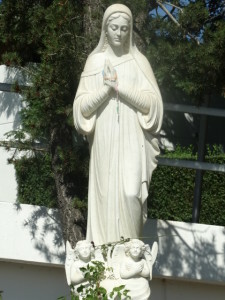 The Stairway of Prayer has 373 steps leading up to the top of the Mount of the Sacred Heart. 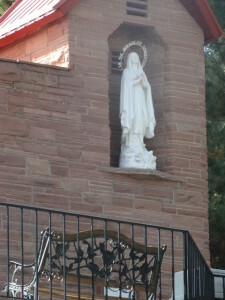 Benches are placed on the stone steps as rest and reflection places. 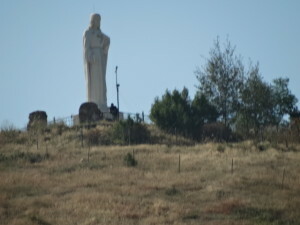 At the top of the mountain is a twenty-two foot statue of the Sacred Heart of Jesus carved by an Italian artist. 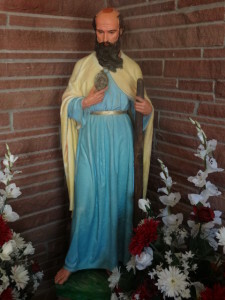 Below the statue in a glass enclosed shelf is the Heart of Stones. 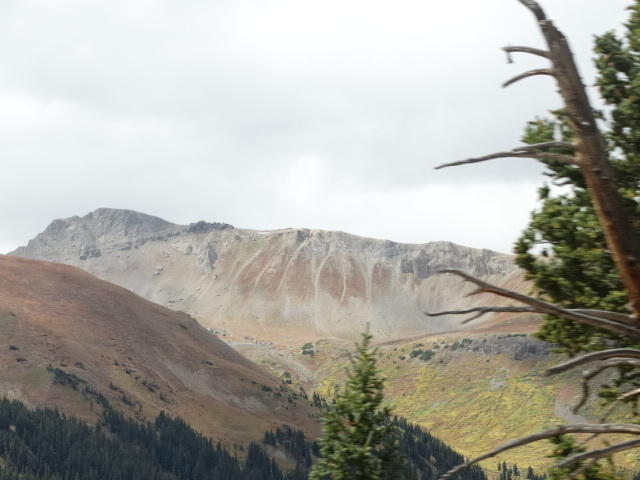 I have visited many shrines during my travels and I marvel at the beauty of this shrine surrounded by the Rocky Mountains and soaring green foliage. 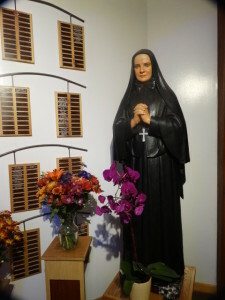 If you ever visit Denver, take this side trip to Golden up the long winding, narrow road to the Shrine of Mother Cabrini.